UNFAIR COMPETITION: Protection of trade secrets against unfair competition on the rise. A new enforcement trend? The Antimonopoly Committee of Ukraine (the “AMC“) has recently joined a league of trade secret enforcement bodies through passing its first ever decision to protect a business from the unlawful use of its trade secrets by a competitor. Although victims of unlawful use of trade secrets have had the opportunity to file unfair competition actions for more than 10 years under Articles 16-19 of the Law of Ukraine “On Protection against Unfair Competition”, they were either unaware of such opportunities or sceptical about the prospects and thus it was not a priority. The recent success for the victim in the case we discuss below may establish a new trend in Ukraine with respect to protection of trade secrets from misappropriation (be it standalone proceedings or in combination with litigation or criminal investigation). In 2015, “TVK VEKTOR VS” LLC, a national distributor of electrical products (the “Claimant“) brought an unfair competition action with the AMC against its competitor “Ergon-Electric” LLC (the “Defendant“) asserting misappropriation of trade secrets. The Defendant was incorporated by two former employees of the Claimant (CFO and Chief Engineer) who left the Claimant to start their own business on the same market (distribution of electrical products). During the investigation, the AMC found that these two former employees of the Claimant had access to the trade secrets of the latter. The trade secrets at issue were, among others, customer/supplier lists, product prices, retail margins, terms of commercial contacts with suppliers and customers, and revenue levels. Both former employees signed Trade Secret and Confidential Information agreements (the “NDAs“) with the Claimant under which they were obliged to keep trade secrets and confidential information undisclosed during employment and three years after termination of their employment. The employment period ended in December 2014. Shortly afterwards (in January 2015), the Defendant was incorporated by two former employees and active business started in May 2015. In a few months, two foreign producers of electrical products and some other business partners of the Claimant informed the latter that they had started to cooperate with the Defendant and/or that the Defendant is currently distributor of their products. These facts were sufficient for the Claimant to prove an unfair competitive advantage gained by the Defendant from the unlawful use of trade secrets. The fact of unlawful copying of trade secrets (i.e. their storage at the Defendant’s computer equipment) was also proved by expert evidence including reports of computer forensics. The expert evidence in question was collected during the criminal investigation with respect to misappropriation of trade secrets initiated in parallel by the Claimant against the two former employees. The Defendant tried to argue that the disputed commercial information does not enjoy trade secret protection because the Defendant had failed to issue an internal regulation on trade secret protection as well as approve any trade secret policy. The Defendant also contended that part of the disputed commercial information is readily available at its website. The AMC disagreed with the Defendant and held that the concluded NDAs establish a sufficient trade secrets protection regime. The AMC also found that information placed at the Claimant’s website differs from the commercial information that the Claimant considers as its trade secrets. The AMC concluded that the actions of the Defendant constitute unfair competition practice in the form of misappropriation of trade secrets (Article 19 of the Law of Ukraine “On Protection against Unfair Competition”). The AMC imposed a fine on the Defendant (Ukrainian hryvnia fine equivalent of about EUR 12,000) and obliged the Defendant to cease the unlawful use of the Claimant’s trade secrets. The decision made is an important and positive sign for business that Ukraine’s Competition Authority is ready to investigate trade secrets misappropriation cases and demonstrate flexibility in terms of evidence to provide a proper trade secrets protection regime (e.g. a trade secret protection agreement may be basically sufficient). Obviously, success in the above case would not have been possible without the active position of the Claimant that made the Competition Authority’s job much easier when conducting an unfair competition investigation. In our Brands & Trends newsletter for February 2017 we looked at an unfair competition case where attempts by the owner of a trademarked shape of the washup (3D mark) was declared unfair competition practice vis-à-vis competitors. Since then, IP law and unfair competition law continue to clash within the walls of the Antimonopoly Committee of Ukraine (the “AMC“) trying to elaborate on optimal coexistence rules. In its recent decision of December 2018, the AMC used a new angle on the issue of abusing IP rights to the patented utility model by its owner vis-à-vis competitor. The recording of the patented utility model with the Ukrainian Customs Registry of Intellectual Property (the “Customs Registry“) was found by the AMC to impede the import of competing products into Ukraine and thus acknowledged as unfair competition practice. In 2013, “Ukrferrotrade”, a Ukrainian distributor of agricultural machineries and equipment (the “Claimant“) appealed to the AMC claiming that the activity of “Electromotor” (the “Defendant“), a Ukrainian producer of electrical products, including food choppers, constituted unfair competition practice. The Claimant argued that the Defendant abused its intellectual property rights in the patented utility model – food chopper (the “Patented Food Chopper“). The reason for the unfair competition action of the Claimant was an evolving dispute with the Defendant with respect to suspension of customs clearance of food choppers from China by an agent of the Claimant, execution of the protocol on violation of customs rules by the Ukrainian customs authorities (infringement of the Defendant’s IP rights to the Patented Food Chopper during customs clearance) and further forced sale of the seized food choppers originating from China. Before filing the unfair competition action with the AMC, the Claimant also filed a lawsuit against the Defendant seeking invalidation of the utility model patent for the Patented Food Chopper. The decision of the first instance court was not favorable for the Claimant. The court dismissed the claim. At the first glance, the Defendant was right in its attempts to protect the Patented Food Chopper against infringement as well as import of similar food choppers from China into Ukraine. A utility model patent for the Patented Food Chopper was granted in August 2005 (i.e. about seven years before the start of the dispute), so the request of the Defendant to suspend customs clearance and recording the Patented Food Choppers with the Customs Registry looked entirely reasonable, legitimate and justified. However, it transpires that there was a spoonful of tar in the barrel of honey. When imported food choppers were seized by the customs authorities, the Claimant applied for substantive examination of the Patented Food Chopper by the Ukrainian IP Office (NB: as a general rule, only formal examination is carried out in relation to utility models, but substantive examination can be carried out upon request from an interested person). The IP Office decided that the Patented Food Chopper lacked novelty. This conclusion formed the basis of the Claimant’s lawsuit with respect to invalidation of the utility model patent for the Patented Food Chopper. 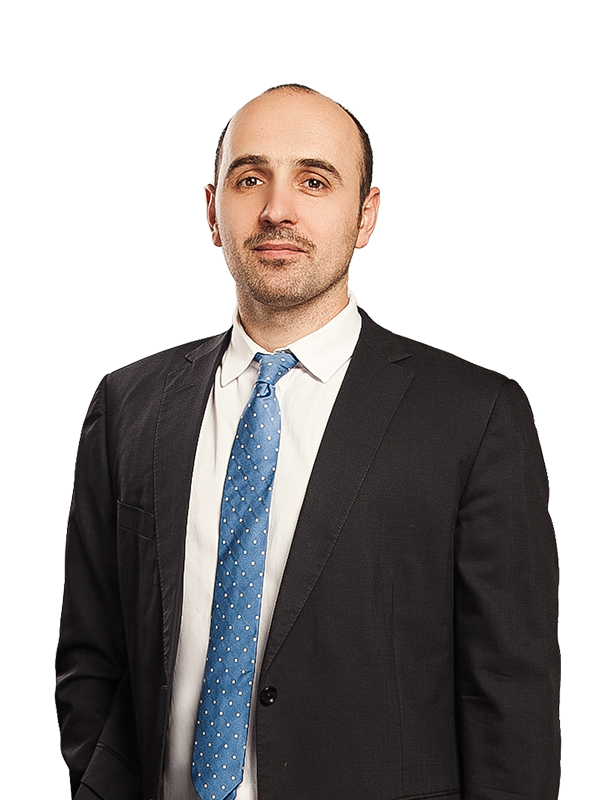 Although the decision of the first instance court was not favorable for the Claimant, the court of appeal and cassation court agreed with the position of the Claimant and reversed the verdict of the first instance court to satisfy its claim, i.e. invalidated the utility model patent for the Patented Food Chopper. In its decision, the court of appeal also pointed out that the use of the Patented Food Chopper by the Defendant restricted the business activities of the Claimant. Further actions of the Defendant with respect to renewing the record of the Patented Food Chopper with the Customs Registry at the stage of consideration of the utility model invalidation action by the cassation court as well as failure of the Defendant to notify the customs authorities when the cassation court upheld the decision of the court of appeal significantly contributed to classification of the Defendant’s actions as unfair competition practice. The AMC concluded that the actions of the Defendant constitute unfair competition practice under Article 15 of the Law of Ukraine “On Protection against Unfair Competition” (achieving an unfair competitive advantage) and imposed a fine amounting to Ukrainian hryvnia equivalent of about EUR 31,000 on the Defendant. It goes without saying that a patent for design, utility model or invention provides monopoly-style protection and appreciable resources are required to challenge this status quo through the courts. However, this case largely reinforces what was already known about potential pitfalls when the owner of a patented design, utility model or invention decides to actively enforce their intellectual property rights. Great care about the strength of the patent should be taken by the rights holder before enforcing IP rights, including when it comes to customs and border protection. Filing an unfair competition action with the AMC is now one more tool in an affected competitor’s armory. This approach was never used before but may be on the rise going forward. For more information, please contact Yaroslav Ognevyuk or Oleg Klymchuk. 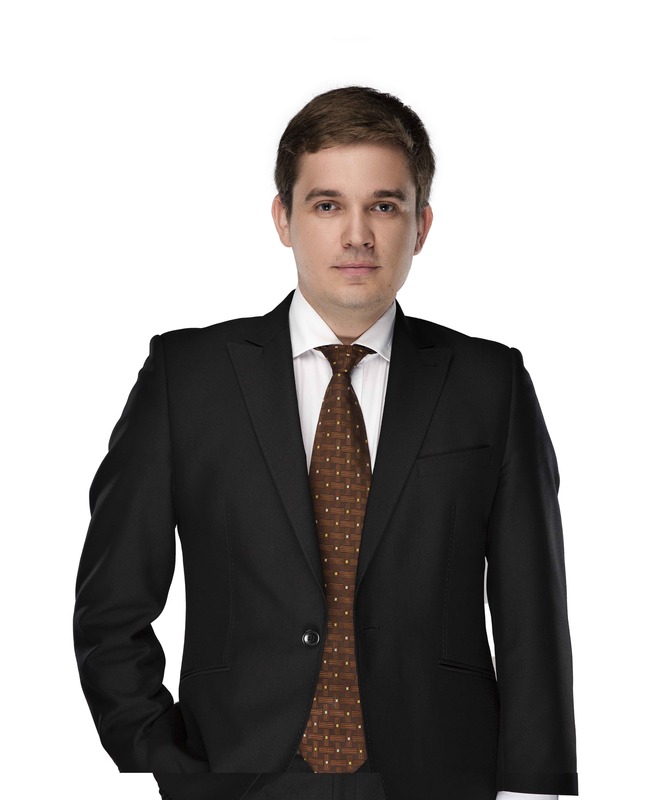 This newsletter was prepared with the assistance of associate Pavlo Kovalchuk. Information contained in this newsletter is for general information purposes only, does not constitute legal or other professional advice, and should not be relied upon as a substitute for specific professional advice tailored to particular circumstances.